The U.S. Defense Advanced Research Projects Agency (DARPA) has come up with some crazy ideas in the past, and its latest idea is to create computers that are always learning and adapting, much like humans. However, this isn't a far-fetched idea. Mobile devices, computers, and gadgets already have artificial intelligence features, with notable examples being Apple's Siri, Microsoft's Cortana, and Amazon's Alexa. But these devices can only learn and draw conclusions within the scope of information pre-programmed into systems. Existing machine-learning techniques don't allow computers to think outside the box, so to speak, or think dynamically based on the situations and circumstances. The goal of a new DARPA project is to create computers that think like biological entities and are continually learning. Like humans, such systems would be better at making decisions by taking formerly unanticipated problems into account and adapting on the fly. Such computers would start learning slowly, much like children. The learning model would become more flexible as a system matures and gains experience. If it works, the computer will be able to extrapolate more answers depending on the situation, much like humans. DARPA's aptly named Lifelong Learning Machine (L2M) program has the ambitious goal to create technology for "new AI systems that learn online, in the field, and based on what they encounter -- without having to be taken offline for reprogramming or retraining for new conditions," according to a document published Thursday detailing the program. An adaptive computer that draws on experience to make decisions has been a "long-standing" goal, said Hava Siegelmann, program manager for the L2M project at DARPA. "That's because today's computers are designed to run on prewritten programs incapable of adapting as they execute, a model that hasn't changed since the British polymath Alan Turing developed the earliest computing machines in the 1930s," said Siegelmann, who has a background in neuroscience. 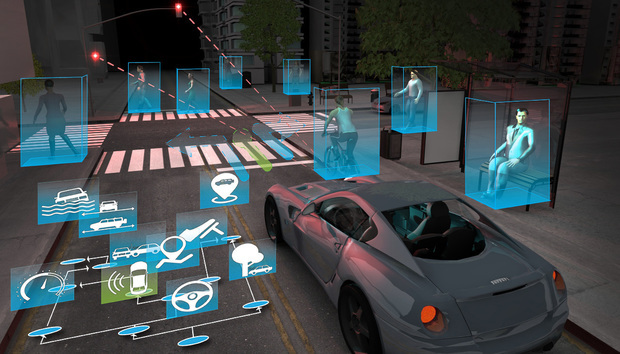 For DARPA, such a system will have many advantages, especially in areas like autonomous cars, which could become safer. It could also help in cybersecurity, computer gaming, and health-record automation. The ability to give biological intelligence will involve developing new computer architectures and new machine-learning techniques. Existing computers aren't adaptable and can't every take every possible calculation into account when trying to solve a problem. That's why there is a tremendous excitement around quantum computers, which will have significantly more computing power than today's PCs. But they still won't have the biological ability to adapt to different situations when trying to find answers. Another goal is to create new computing architectures, perhaps a design that could break the existing models that rely on the Von Neumann architecture. Von Neumann has been challenged many times but still drives today's computers. The L2M program would also involve coming up with new machine-learning models. Existing models based on open-source TensorFlow, Theano, and Caffe can be adapted for high-performance computers, GPUs, or even thumb PCs. Companies like Google are coming up with slimmer machine-learning models, with the search giant targeting Android Wear 2.0 wearables. Many projects from DARPA -- a division of the U.S. Department of Defense -- often yield no results, but the agency has contributed to the development of technologies including the internet, GPS, and the computer mouse. DARPA is also contributing to the development of new types of brain-inspired computers, smart sensors, and new chip materials.